National, 04th December 2018 – OPPO, a leading global smartphone brand, dedicated to providing products infused with art and innovative technologies, announced the launch of its latest R series device in India - OPPO R17 Pro. Singapore was the first market globally to launch the R17 series followed by Shanghai and Europe earlier this year. The R17 Pro combines a revolutionary new gradient design with innovative technologies to bring users a smartphone that meets their everyday needs. The R17 Pro has a 6.4-inch screen, 19.5:9 FHD+ which accounts for 91.5% of the screen and has what we at OPPO call a waterdrop screen. The front camera of the R17 Pro is at the middle of the water droplet giving the consumer a higher screen to body ratio experience. R17 Pro is the first device to use Corning® Gorilla® Glass 6 and comes with 8GB RAM + 128GB ROM memory combination, improving the speed and performance. The device is powered by a Qualcomm Snapdragon 710 processor and supports Android 8.1 ColorOS 5.2. Talking about the camera, R17 Pro has a triple camera setup on the back which comprises of 12MP + 20MP + 3D sensors along with a 25MP front-facing camera. 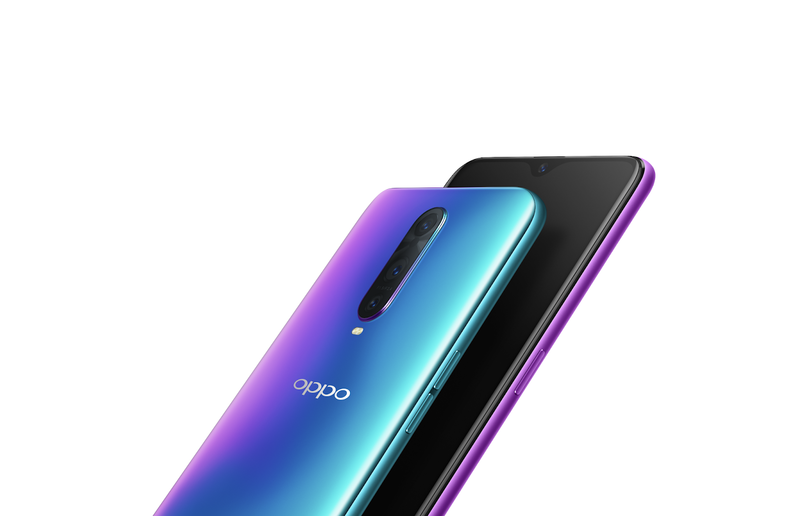 The OPPO R17 Pro which is priced at INR 45,990 will be available to consumers for pre-order on December 4th and widely available for sale from 7th Dec onwards. “We are delighted to announce the entry of R series in the Indian market. At OPPO, we have always focussed on extensive research and development to create products that match the requirement of our consumers. We make products which are a combination of design and technology, keeping ‘beauty’ as the key element in all our products. Therefore, we have created a flawless product R17 Pro that integrates the best of new and innovative technology along with the best design to give our users a competitive, cutting-edge smartphone.”, said Will Yang, Brand Director, OPPO India. The R17 Pro adopts Corning® Gorilla® Glass 6 for the first time, with a 91.5% screen-to-body ratio and Hidden Fingerprint Unlock. The Corning® Gorilla® Glass 6 is able to withstand a drop from a one-meter height to a rough surface for an average 15 times, doubled that of the Gorilla Glass 5 performance. The R17 Pro also supports the SuperVOOC flash charging technology, allowing users to enjoy the safest and most efficient charging experience. The patented technology, SuperVOOC by OPPO has been designed basis in-depth understanding and analysis of consumer demand and behaviour. The SuperVOOC Flash Charge allows users to save time, facilitate fast and safe charging and spares them from the fear of running out of battery charge. 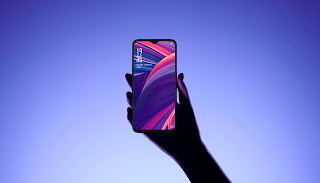 The technology enables R17 Pro users to charge 40% of their battery in almost 10 minutes and is OPPO’s solution to consumer’s strong need for a quick, reliable, safe and long-lasting charging technology. The phone also sports NFC wireless payment, making the transition to mobile payments easy and convenient. When it comes to product technology, night shooting is one of the most common challenges in the smartphone industry. The R17 Pro has been enabled with upgrades for both hardware and software, making it a smartphone designed for night shooting. The R17 Pro features a software-level AI Ultra-clear Engine that allows users to take high-quality night photos. The AI Ultra-clear Engine is OPPO's unique image-enhancing technology that is able to break all hardware limitations to maximise the image quality to produce amazing night shots. The R17 Pro comes with a 25MP front camera and a Sony IMX576 sensor with f/2.0 aperture equipped with real-time HDR support. The R17 Pro provides up to 8 million different beautification schemes to intelligently match different users across the globe. Additionally, the customised beauty mode can now identify up to four people in the frame and enables users to adjust the facial features and preview the effects in real time. The rear cameras of the R17 Pro can intelligently recognise 23 photography modes and as many as 864 scenario combinations to ensure every shot taken is the best shot possible. The phone is also equipped with a variable smart aperture of f1.5/f2.4 which can automatically adjust to the lighting conditions making images sharper and clearer in both bright and low light situations and has an OIS (Optical Image Stabilisation), which can stabilise images and guarantee a longer exposure time to brighten night-time photography, especially with a 7P lens module. The combination of these two features further heightens precision in night-time photography. The R17 Pro also comes with AR stickers which allows users to share interesting selfies with your loved ones. All these are built into the camera app without having to download any third-party app. Taking the user experience to the next level, we have introduced a new feature - the “Hidden Fingerprint Unlock’’. This allows the consumers to unlock their devices without any hassle. The Snapdragon 710 is the first mobile platform in the new 700-tier portfolio, designed to exceed what is expected from today’s high-tier mobile experiences by bringing select premium-tier features to a broader audience. The Snapdragon 710 is designed with highly efficient architectures for artificial intelligence, featuring a multi-core AI Engine and neural network processing capabilities. The smartphone is equipped with ColorOS 5.2 based on Android 8.1. An added advantage of this OS is the Smart Bar which is a Full-Screen Multitasking function that assists consumers in replying to messages in the middle of full-screen activity such as playing games or watching videos.